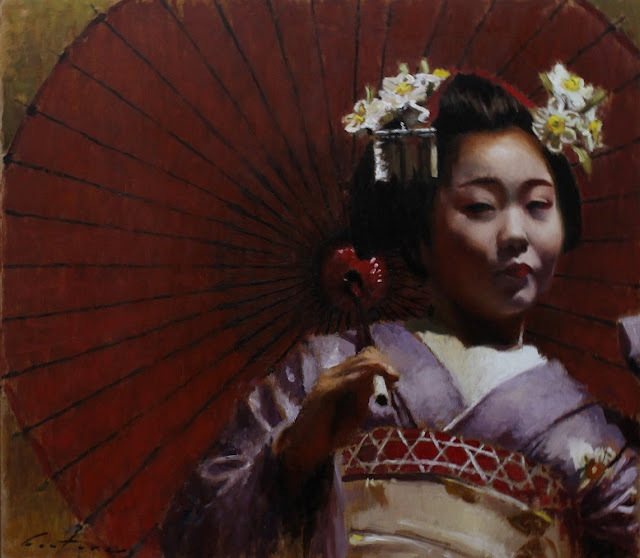 I had the pleasure of seeing this apprentice geisha, Maiko Kanoyumi, perform a dance with a parasol in Kyoto, Japan in March 2013. She is a senior maiko, which means she is on the verge of becoming a geisha or geiko as they prefer to be called in Kyoto. 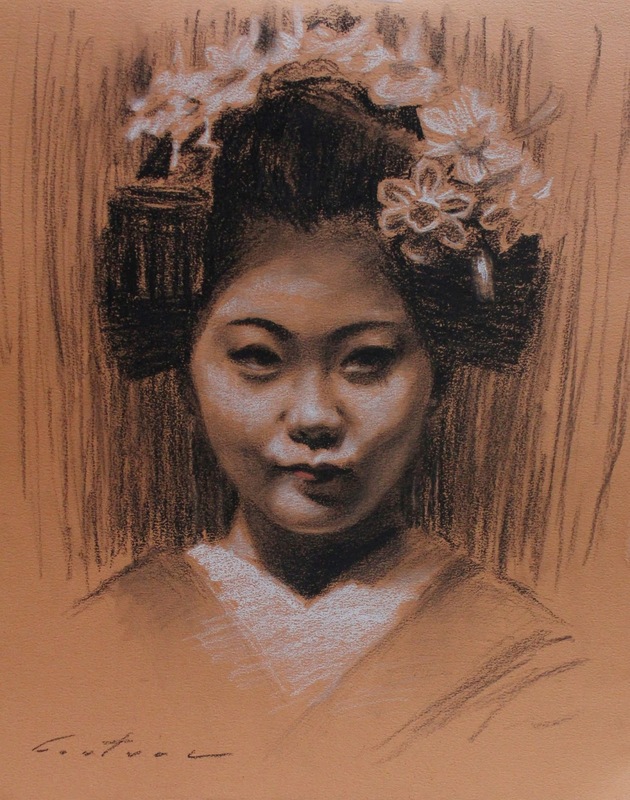 I did a charcoal study of her on toned paper and then did an oil painting of her performance with a Japanese parasol (kyowagasa).